Finally, the biggest Tax reform since Independence leading to ‘One Nation, One Tax’ is almost set to be rolled out in India, vide Goods and Services Tax (GST). Did you know, GST is already rolled out and adhered to in over 160 countries world-wide? So applying the same to our country would mean encouraging seamless international business transactions and inclusive growth for India. But what about the impact it would have on our small and medium enterprises (SMEs)? As proposed by the ministry of finance, each business with an aggregate turnover of above INR 10 lakhs will fall under the umbrella of GST. Similarly, the limit has been kept even lower at INR 5 lakhs for North Eastern states. SMEs who are manufacturers with an annual taxable turnover of upto 1.5 Crores, are currently exempted from paying excise duty. But will become liable to pay full rate of GST. This will directly affect their product costs and give rise to stiff competition with industry leaders. Such a move could easily be interpreted as the government’s withdrawal of protection to thriving small businesses. Although, this change could bring fair play in terms of organized and unorganized sectors, curbing tax evasion whereby businesses set up multiple entities to enjoy high exemption thresholds. GST intends to expand the taxpayer’s base and not merely burden individual tax payers. The impact on Working capital will be significant for the manufacturing industry, which mainly includes SMEs. Consider this, in the current scenario Company ‘A’ pays excise when it manufactures a set of goods and ships it to its warehouses. When the goods are sold company ‘A’ pays VAT. Although, once GST is levied it will have to pay tax during the time of transfer of stock to warehouse and credit of it cannot be claimed till the goods are sold. This period between warehousing and sale could range from weeks to months blocking precious working capital flow. In another scenario, Company ‘B’ has set up a manufacturing unit in a state which offer tax benefits. They have even set up numerous warehouses across states to enable them transfer stock without paying Central Sales Tax (CST). Under GST the company will need to consider the need to consolidate these multiple warehouses as stock transfers will be deemed as supplies and will be subjected to GST. There is a perception that GST will save businesses, including SMEs, a huge sum of payable taxes. 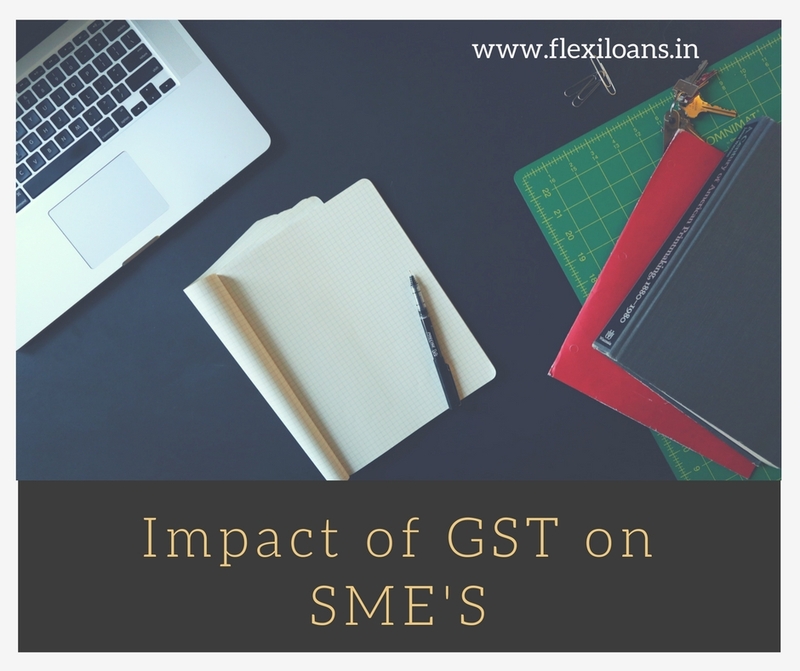 The impact of GST varies with various types of businesses. This may be a myth in case of the service industry which merely pays a central service tax. Once GST is rolled out, these businesses will have to deal with multiple states in which their business operates, additionally adhering to their rules of registration too. Currently the service industry pays 15% tax which post GST will rise to 18%. The cost on fee-based transactions are expected to increase to 18-20%, this will be reflected in the cost of financial services, processing fees for loans, debit/credit card charges and more. In the telecom sector, the similar rise from 14% to 18% post GST could possibly burden post-paid subscribers. However, better availability of input tax credits should leave a marginal increased tax extent on the service sector. Consumer staples like dairy products, edible oil, bakery products, etc. are expected to see an increase in price, affecting Kirana stores and similar SMEs. These products, which usually benefit from low indirect taxes will have to face a rise in tax post GST. Costs of vegetables & fruits will be affected as cost of transportation will considerably increase with the rise in tax for transportation from 15% to 18%. Milk products are currently subject to a 2% VAT rate, while a GST rate of 18% will increase the price of milk products directly. On the arrival of GST, organizations will have to revamp and adapt to the new system. Accounting systems will need to be upgraded, businesses will need restructuring, long-term deals and contracts will need to be reviewed, etc. Even though we cannot conclude that GST structure is perfect, it is high time our tax system received an overhaul. There is a dire need to integrate India into one economy and get rid of the multiple taxes and its cascading effect. A single tax structure in the country will simplify it and reduce tax evasion, ensuring seamless business transactions across our nation and world over. SME’s continue to face financial challenges that not merely stunt their growth but even clip their wings while on their road to success. 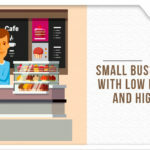 Acknowledging this FlexiLoans (via its lending platform Flexiloans.com), provide working capital loans to these small enterprises, boasts of quick and easy disbursal of loans within barely 48 hours. It is refreshing to see the paradigm shift in the way entrepreneurs are now approaching business ideas, with certainty and confidence. Bearing in mind these advancements MSME’s now have a much brighter future and will be leading partners in the process of inclusive growth for India.